Providing comprehensive care for infants, children and adolescents for over 50 years. We are here for your family with extended evening and weekend office hours. At Lincoln Pediatric Group, our board-certified pediatricians offer our patients cutting-edge medical care in a friendly and relaxed atmosphere. We have created a professional and caring pediatric medical home for infants, children, adolescents and their families. Contact us to schedule an appointment for your child for immunizations, illnesses and injuries, or for a well child visit. We also provide prenatal consults so that you can meet our pediatric staff before your baby is born. Then, we can help care for your newborn and answer any questions you may have about breastfeeding. 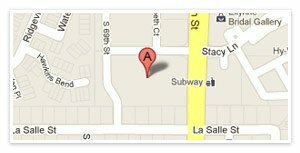 Learn more about our experience and expertise as a well established pediatrician in Lincoln, NE. Our team of licensed pediatric physicians and physician assistants will provide the best care possible for your child.